Due to recent developments on the Facebook privacy front, it seems certain that Facebook’s ordeal with the Federal Trade Commission is far from over. The first probe into their privacy practices was recently concluded, with some pretty steep conditions imposed. But now the Electronic Privacy Information Center (EPIC) is calling upon the FTC to probe even further into Facebook’s privacy practices, claiming that their organization is unhappy with how the previous settlement turned out. 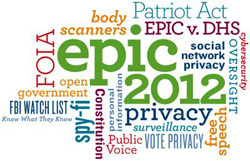 EPIC specifically wants the FTC to get a handle on how Facebook conducts “privacy through obscurity”. “Privacy through Obscurity” is a simple but effective method to provide security. Basically, it makes content more difficult to get to. Right now, any information you have in Facebook would be impossible to get if you have restricted viewers’ access to it. Once you grant your permission, there’s very little protecting it from prying eyes. Their biggest beef is the fact that the new Timeline feature makes user data so much easier to uncover. The simple act of scrolling through a page would provide people with an ample view of what you have been up to for the past years – information that could possibly be used by stalkers, hackers or scammers to get to you. EPIC believes that data should be harder to get to in order to deter these “bad elements” from trying to gather data about their targets. Before, people had to repeatedly click the “older posts” button to get to the info they need. It was inconvenient for people who innocently wanted to ‘Facebook Stalk’ their friends – but more importantly, it was inconvenient for hackers and scammers. Friends who want to “catch up” can just do so by sending a message or striking up a conversation on chat but Hackers need to be a little more subtle on how they obtain their data. However, with the new Timeline feature, hackers or identity thieves need only to scroll down to find posts that might possibly reveal information or clues to common security questions. Facebook responded by saying that the very purpose of the 7-day grace period, which they provide new Timeline users, is for them to take out anything they don’t want others to see. Also, any content that’s in your Timeline was previously visible to others at one point or another, so it’s pretty much fair game. But then EPIC says that it’s ridiculous for Facebook to claim that Timeline makes no impact on privacy because the very nature of the feature would infringe upon users’ ‘privacy by obscurity’. People have already assumed that these posts have been buried over time, and to have them turn up on their Facebook Timeline would cause them to disclose more information than they ever intended to. Now, more than ever, it is essential to limit your Facebook friends to people you actually know and trust. If you choose to befriend casual acquaintances, gaming buddies, or if you use Facebook to meet new friends, you should use Facebook lists and privacy options to further secure your information.